Despite the fact that craft breweries continue to proliferate around the country and we don't hear much about closures, bad things sometimes do happen...breweries do close. And it often doesn't have anything to do with crappy beer. 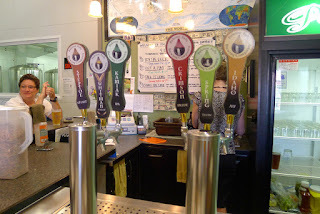 One of the breweries I visited several times on my travels to Eastern Washington is Palouse Falls Brewing in Pullman. This business has been operated by the husband and wife team of Jeff and Linda Green for several years. They are great people, highly respected in the community. Unfortunately, they have decided to close the brewery on Dec. 22. I learned of the impending closure of PFBC on Facebook. You can search for their Facebook page and read the announcement there if you wish. 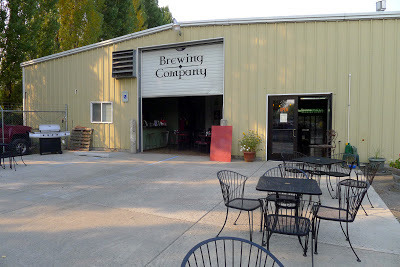 As I write this, there's nothing on the brewery website and the only news coverage I found is behind a subscription firewall on the local newspaper in Pullman. No thanks. 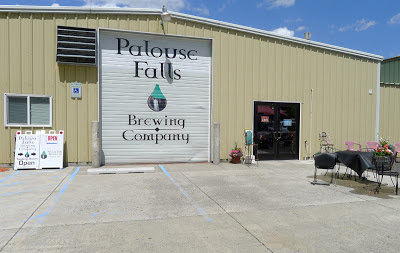 The details surrounding the closure of Palouse Falls Brewing, according to the owners, are these: They learned last spring that they would not be allowed to exercise an option to purchase the property on which the brewery stands...property which needs improvements for the business to move forward. Knowing of the property situation, they recently accepted an offer to sell their existing brewing equipment as a package. You suspect the first circumstance led to the second. A curious part of the announcement, confirmed in an email from Jeff Green, is they hope to find a new location in the area and reopen. They would then need to purchase the building and acquire new brewing equipment. A lot people in the Pullman area, as well as WSU alumni who often visit, are hoping Palouse Falls Brewing gets a second life. And maybe it will. Craft beer fans always wonder about situations like this. We know craft beer has a lot of momentum and brewery failures seem to be rare. Yet it does happen. When it does happen, it's interesting to look at what may have led to the demise. Sometimes you have to read between the lines and look a little deeper. Sometimes not. The first significant thing to know about PFBC is that Jeff and Linda did not come from a brewing background. Before opening the brewery, Jeff spent 20 years in manufacturing. Linda worked in various administrative and management positions. Neither had brewing experience. The brewery idea came to them as they looked for a viable business opportunity. The second item rolls out of the first: The Greens never brewed any beer in Pullman. Nope. After an initial source didn't work out, they contracted with Northern Lights Brewing of Spokane (now No-Li Brewing) to provide brewed wort. The finished worts were shipped to Pullman in large plastic vats, transferred to tanks for fermentation and eventually filtered, conditioned and kegged for consumption. This is effectively contract brewing...where you perform the final steps. Finally, the original concept was a production brewery and taproom with no attached pub or restaurant. The plan was to use a small percentage of the available production capacity to build a following for several brands. They hoped to eventually create enough demand to distribute in kegs and bottles around the region and beyond. A bold plan. The fact that the Greens didn't come from a brewing background almost certainly affected their business plan. Launching a production brewery in an area where demand for craft beer is years behind what it is in Portland and Seattle may not have been a great idea. Success in this type of venture requires volume via wide distribution that might take years to build. Their lack of brewing knowledge did not affect the beers, which were fine. Crimson Pride, a medium-bodied red ale with a balanced flavor, aroma and bitterness, is arguably their flagship beer. It has been regularly available on tap in many locations around Pullman. The other beers were quite drinkable, as well. However, you have to wonder about the economics of paying someone else to do the bulk of the brewing work. This is especially true when you are already paying for a large production space that is being used for only part of the process. The Greens did a lot of the post-brewing production work in Pullman themselves, so they didn't have a lot of employee overhead. Nonetheless, you have to wonder how the overall arrangement penciled out. 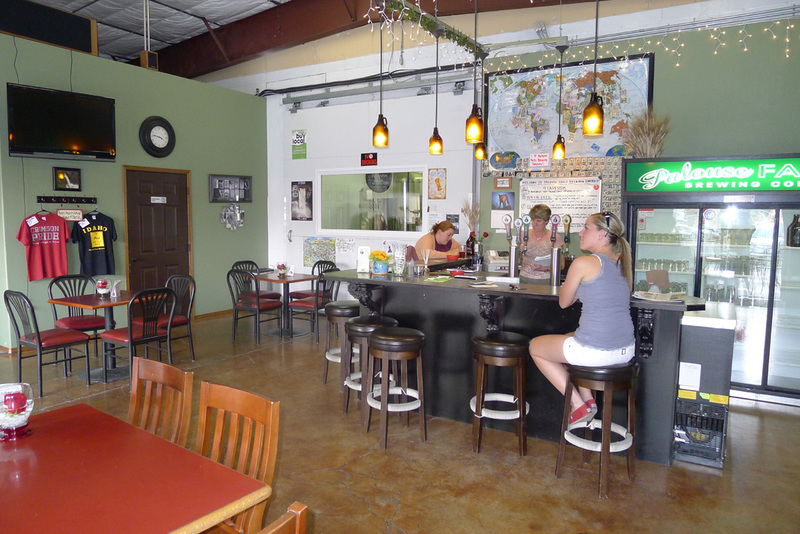 Finally, a production brewery and taproom runs counter to the brewpub model that has been so successful in many places. 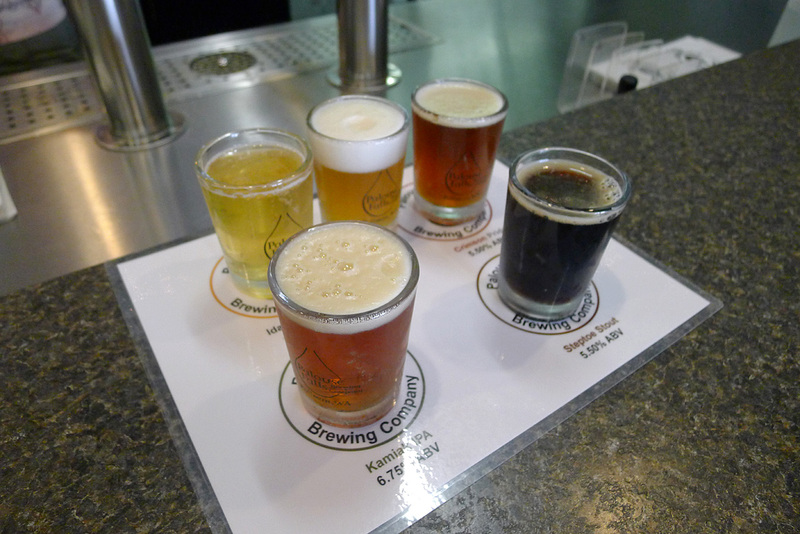 The reason the brewpub model works is the pub provides an additional revenue stream. If all you have is a brewery and a taproom, you're relying on sales volume in those channels to support your operation. There's also the fact that food is an additional draw for people who aren't going to come in just for your beer. Sure there's additional overhead, but it seems to pencil out for many of these businesses. 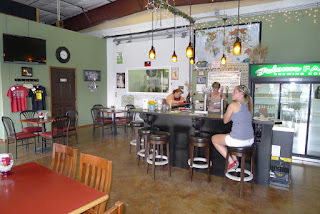 It's worth noting that Pullman's other brewery, Paradise Creek Brewing, is a brewpub. I visited when I was there in September and they have a spectacular space (my story here). I don't know how they're doing in terms of profitability, but they have some interesting beers, a few of which are being distributed in kegs and bottles. Their brewing system is fairly small and the marketing plan limited. If and when Palouse Falls Brewing does reopen, Jeff says it will be in a smaller location with a downsized brewing system. They own the various recipes and brands and would apparently do their own brewing from start to finish in a new location. The distribution plan would be pared down to a more realistic regional target. No word on whether food would be part of any new operation, but you suspect not. It seems to me the revised plan is the kind of thing that might work. Starting out small and building a following is strategy that has worked well for a number of Portland breweries. Why not in Pullman? There are a lot of people pulling for the Greens to succeed, as much because they are great folks as for their beers. Hopefully, things work out. Well written. I was disappointed to see that they closed, hoping to get my spring thaw sooner rather than later!